Anil Bandawane, a farmer living outside Pune, India, was fed up with the poor advice he was getting from the government’s national hotline for agricultural queries. Life as a farmer in India can be isolating, and he felt cut off from his peers. So he started a WhatsApp group called Baliraja (which roughly means “farmer king” in the Marathi language). The group, which allows his fellow farmers across the country to exchange expertise and support on WhatsApp, a popular messaging platform, gained so much traction that Bandawane has created more than a dozen different subgroups for various districts. To the south, in the state of Kerala, Bharathy Gopalakrishnan, a stay-at-home mother, wanted to make a little money from some leftover red-velvet cupcakes. 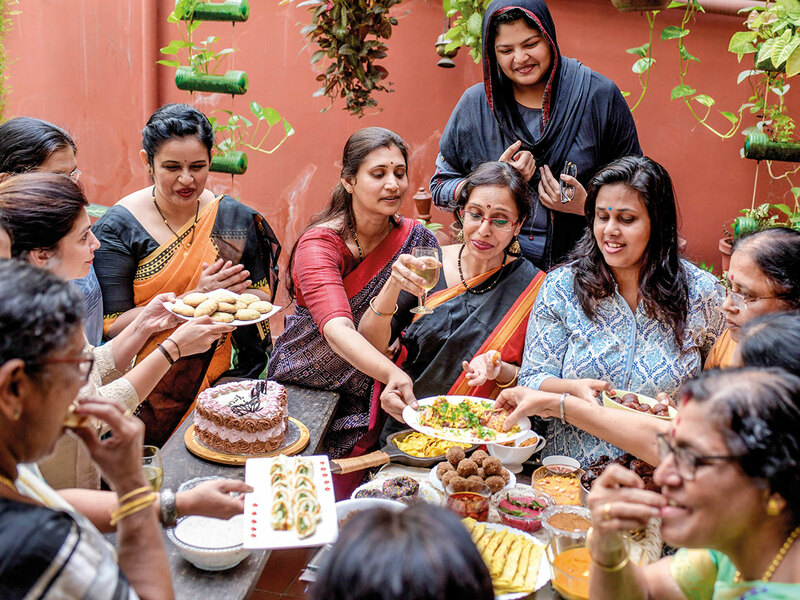 That idea turned into PB Kitchen, a WhatsApp group she founded to allow the women in her apartment complex to buy and sell one another’s homemade dishes, from sambars and vadas to burgers and cakes. 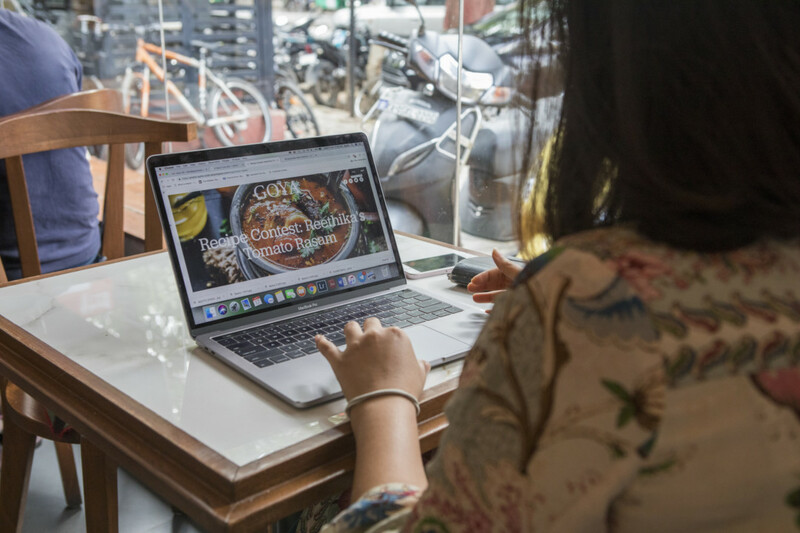 Around the same time, Krishna Prasad, the director of an organic-agriculture advocacy group, and Abhishek Naik, a scientist, were looking for a way to share healthy recipes and information about organic food. So they created a WhatsApp group, Anna Arogya (“food for good health” in Kannada, one of India’s many languages). It has been three years since Prime Minister Narendra Modi started Digital India, an initiative to increase internet connectivity across the country, especially in rural areas. WhatsApp, which is owned by Facebook, has become the medium of choice: It is free, requires only an internet connection and often comes installed on new phones. As a result, India now has more users of the application — over 200 million, or 1 in 6 Indians — than any other country, a WhatsApp spokeswoman said. That saturation has often led to misuse: Various groups have deployed WhatsApp to spread false news, incite mob violence and manipulate votes during elections in India and other nations. WhatsApp’s interface is simple and unfussy, with easy-to-navigate tabs for messages and calls. Aysha Tanya, 29, a founder of the food and culture publication The Goya Journal, said she used WhatsApp to get recipes from her mother because it was the only digital platform that people her mother’s age felt confident using. She sends us these voice notes on WhatsApp messages that allow her to give the really, really tiny details like ‘Brown the onions and listen to this sound.’ It is so much more personal. Noshirwan Mistry, 44, sells and delivers mangoes grown on his farm in Ladghar, south of Mumbai. He is able to get an internet connection about 5 kilometres outside town, so he uses WhatsApp to send photos of the fruit, as they are growing, to potential buyers all over the country. “WhatsApp is my best marketing tool,” he said, a good way to quickly show the quality of the mangoes. Even when he posts advertisements on other social media sites, customers still contact him on WhatsApp. He could publish his mango knowledge on a blog, he said, “but how many would be reading it?” WhatsApp “shares my information to a much larger audience,” and in a targeted manner. In India’s restaurant industry, a business dominated by young hourly workers, WhatsApp has become the predominant means of communication. 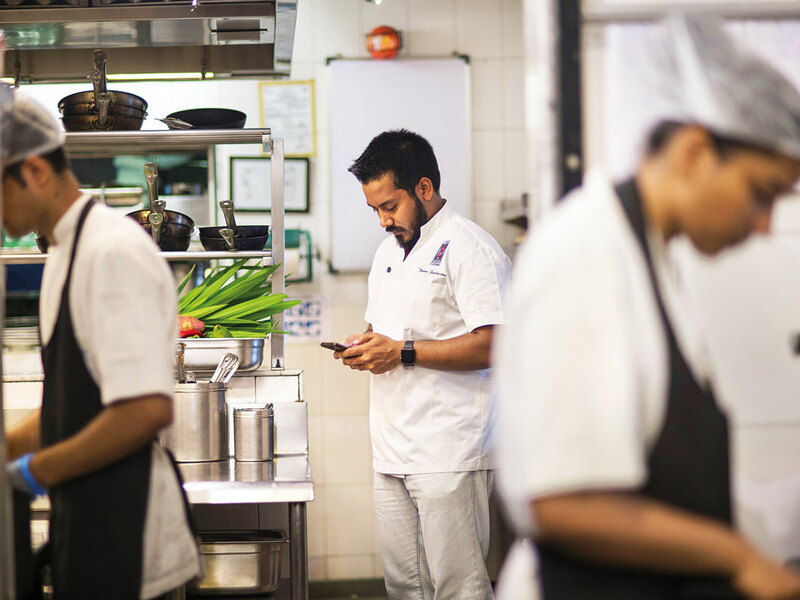 Thomas Zacharias, 32, the executive chef and a partner at the Mumbai restaurant Bombay Canteen, said he belonged to more than 20 WhatsApp groups that spanned the restaurant’s various departments. Before creating their advocacy group, Anna Arogya, Naik, 32, and Prasad, 48, considered starting a Facebook group or a website instead. But Naik, the director of a sustainable agriculture organisation called Sahaja Samrudha, said he found Facebook to be riddled with advertisements and hard to navigate, and creating a website would have required hiring developers and designers. Moreover, many in the WhatsApp group don’t even have a computer. What about Instagram, the favoured platform for sharing food information in much of the world? “Putting up Instagram posts is seen as dodgy, since you aren’t knowing how many people are really seeing it,” Tanya said. 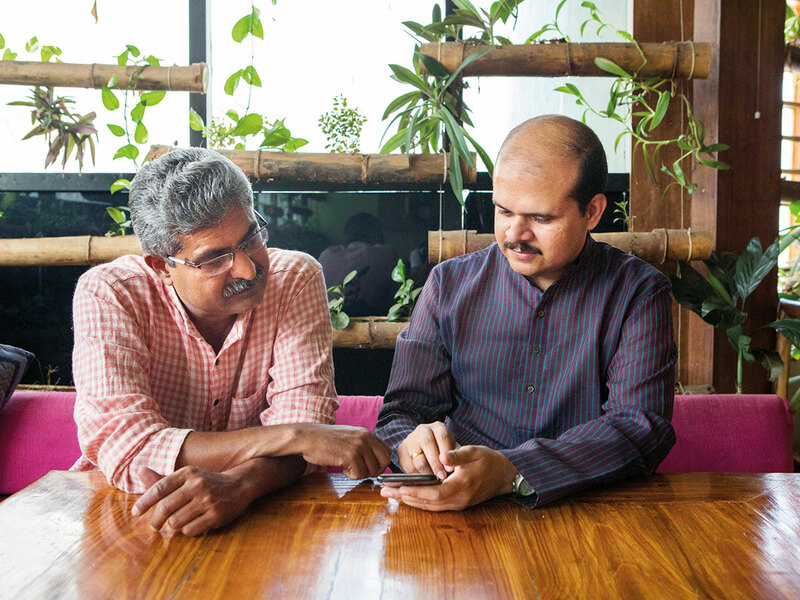 WhatsApp’s wide accessibility allows it to function as a dynamic database for Indians from various generations to record and share their food knowledge — often for the first time. Saee Koranne-Khandekar, 36, a writer and culinary consultant in Mumbai, created a WhatsApp group for her family, with about 50 members. So many recipes were being exchanged, particularly by older relatives, that she turned the messages and photos into a family cookbook in 2014. Sharanya Deepak, a 28-year-old food writer in New Delhi, said older cooks used to be reluctant to share recipes. Groups like these can provide not only a voice for their food-loving members, but also a source of income. Asha Nair, 38, a member of Gopalakrishnan’s PB Kitchen, started offering homemade spice powders on the group. They sold so quickly that in 2016 she started her own food company, Health to All, which conducts most of its business on WhatsApp. Similarly, Bandawane said his group, Bawarji, functioned not only as a support group for farmers in India, where a startling number have killed themselves over unpaid debts on seed purchases, but also as a way to connect members to financial resources. He said that a photo of a poor farmer posted to the group had caught the attention of the top executive of a charitable trust, who bought the farmer oxen to plow his fields. The beneficiaries of this WhatsApp-based food culture are mainly in India, but there are signs of cross-pollination: Mistry has received inquiries from people in Singapore and the United Arab Emirates about his mangoes, and Bandawane plans to start a WhatsApp group for farmers in Thailand. Still, the service has its flaws. It has spread culinary misinformation: kitchen hacks that don’t work, unproven theories about supposedly dangerous foods. Naik, the scientist, said many plant-based home remedies posted to Anna Arogya had turned out to be hoaxes. This is especially problematic for his advocacy group, he added, as members turn to it as a credible source of health advice. There’s also the issue of noise. WhatsApp users in India are well known for sending a constant stream of daily “Good Morning!” messages, jokes and videos, regardless of their relevance. Naik said he had had to remove several people from his group for flooding the chat with emoticons and greetings. Users have also complained to him that all the chats, photos and videos consume too much of their phone’s memory. “A few have deleted the group because their memory was getting full, and they were unable to use their phone for anything else,” he said, while others have upgraded to a new phone just to stay in the group. Bandawane said he did not like the 256-person limit on the group sizes, given the huge number of farmers across India interested in joining. But Tanya, the Goya Journal co-founder, remains optimistic about WhatsApp’s impact on India’s food culture. What had inspired such creativity? Abdulla was frank: She had seen the dish on WhatsApp.